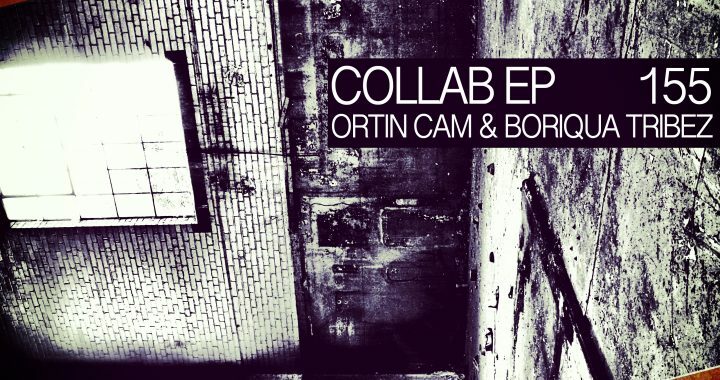 Ortin Cam (Drumcode, Mote Evolver) and Boriqua Tribez (KMS, Pornographic) have finally collaborated with a two track EP dropped onto the Gobsmacked catalog. Thumping, bursting with energy, and featuring strengths from both of these seasoned producers, the Collabs EP is a highly danceable and powerful EP. Gobsmacked boss Diarmaid O Meara steps up this time to compile and mix his favourite tracks from Gobsmacked label releases numbered GOB131 to 145. Following on the traditional trail blazed by Patrick DSP and Oliver Kucera, O Meara mixes 13 heavy tracks from an array of label talent. Fresh from releases on Elektrax, Hypnohouse, and Morforecs, Dario Dep drops a 4 track EP on Gobsmacked. Featuring three originals, and a heavy remix from Hardom, the Experiment EP delivers the goods, from quirky analog sounds to heavy breakbeat Techno. Raffaele Genovese brings us a red hot four track EP, with two originals bursting at the seams with analog energy, rusty hats, and filthy grooves. He is joined by fellow Italian heavyweights ATProject, who pull no punches with their remix, whilst delivering their trademark sound. Diarmaid O Meara takes a step in the breakbeat noise-wall direction with his remix, and drops a fat distorted variation. Renehell and Timao have created a three track collaborative EP for Gobsmacked in the shape of the “Schandtat EP”. Taking influences from industrial and acid techno, the cross collaborative sound that develops, is one of raw, gritty, and extremely danceable techno. Spectrum from Connected gives us a little treat when it comes to dark and hard techno. Delivering pounding beats and eery sounds, rhythms and huge climaxes… And on top of that, The Anxious joins the EP with a belter of a remix. Coming straight from their underground techno-bunker, this topnotch duo gives us pumping energetic remix. Dorbachov (Clutch Trax, Forte) joins Gobsmacked to unleash a heavily styled EP. Intense, modern, and featuring remixes from Nico Kohler (Naked Lunch, Gobsmacked) and Diarmaid O Meara (Gobsmacked, Nachtstrom), the S’age EP pushes all the right buttons for dance floor shuddering Techno. Upcoming German techno producer, A.P.T.A (Vollgaaas, Naughty Pills) drops some moody and hard noise onto the Gobsmacked catalog. The Chaostheorie EP features three heavy original tracks, and an excellent remix from Andre Rauer. Spanish upstart, Pablo Santos (Sound of Techno, Technodrome), joins Gobsmacked with a solid single, and plethora of releases in toe. The heavy, yet nicely spacey original, is joined by excellent remixes from Adrian Richter, Joseph Dalik, Mono Voice, Sopik, Tonikattitude, and Guil Uzaka. Available as download, or on USB with over 4 hours of bonus audio-visual material.